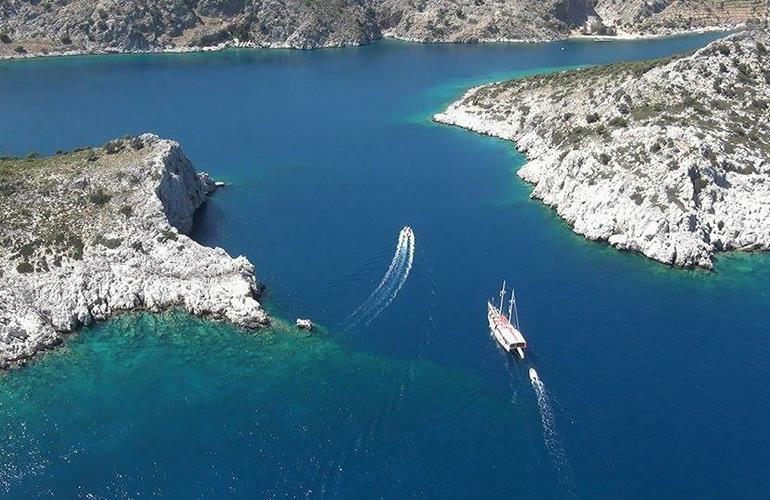 Embark on a cruise with 7 overnight stays where you’ll get to dive away from the crowds and explore the crystal-clear waters surrounding Turkey. 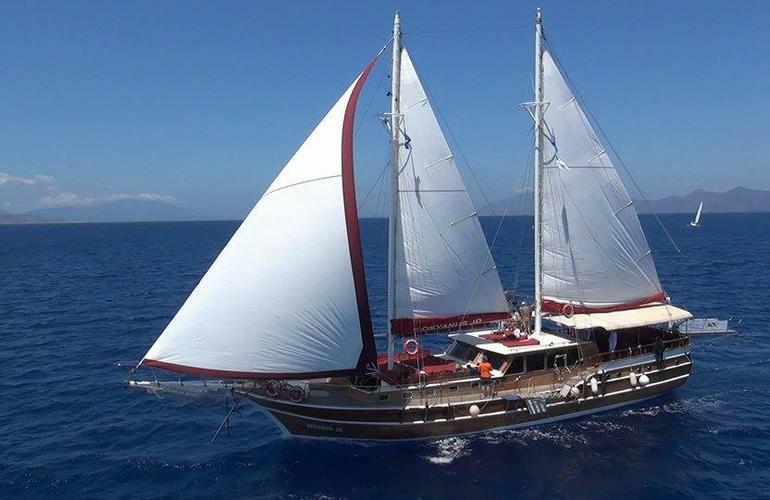 With full board included, the OKYANUS JD sailing boat is prepared to take you and your friends or family on the trip of your life! 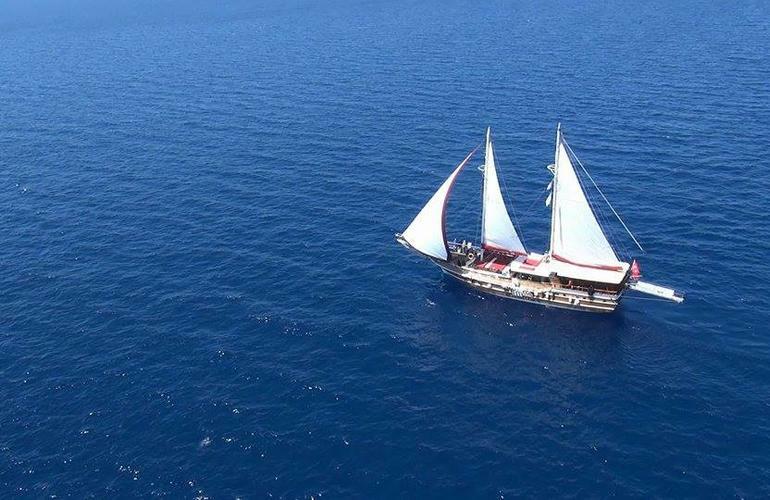 Starting from Bozburun / Marmaris, you will get to enjoy a relaxing boat life in a gulet (traditional Turkish sailing yacht) as you cruise around the pristine waters taking in spectacular views of Aegean paradise. 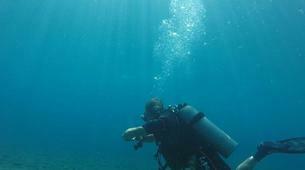 For five days, you will get to go scuba diving twice a day (which includes tanks, weights, air, and a dive briefing). 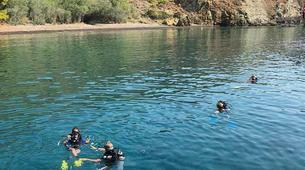 Diving spots include Tavşan Bükü Island, Datça Peninsula, Datça, and Bozburun region. 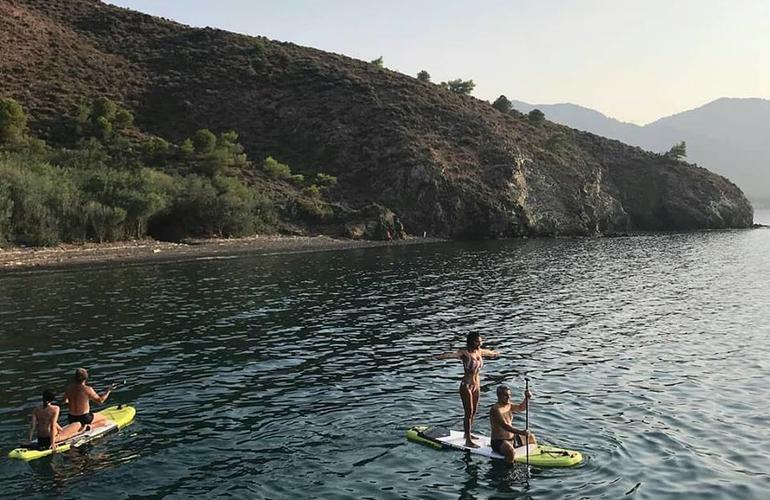 Standup paddle (SUP) equipment, masks, snorkels, and fins will also be made available, and you will have ample opportunities for nature walks and to visit small towns during this trip. 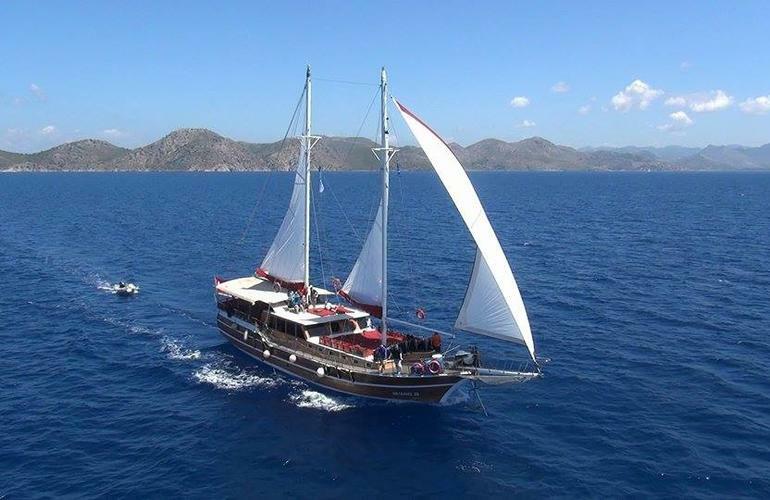 With accommodation for up to 12 adults, the OKYANUS JD yacht has 6 cabins (with its own bathroom) that can comfortably host family and friends! The crew includes a captain, cook, seaman, and two diving instructors on board to make sure that your voyage is “smooth sailing” from start to finish. All you need to bring is yourself and a good attitude! 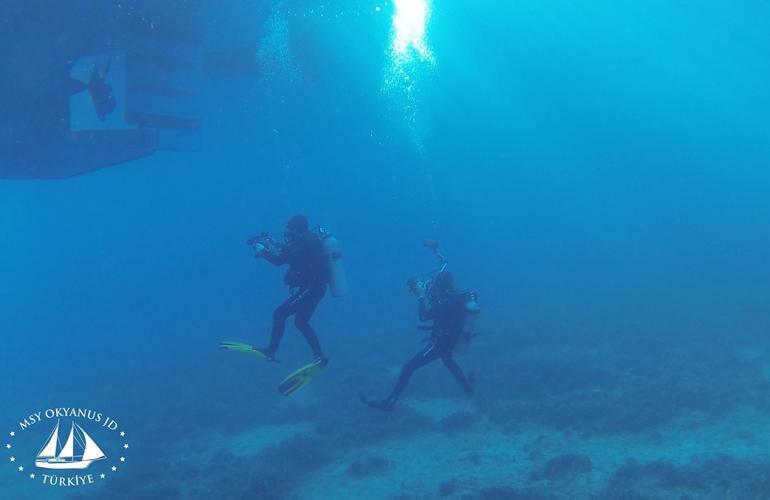 Whether you’re a beginner or an expert diver, you’ll have an incredible experience as you dive deep into the magic wonders below the Aegean Sea. And if you’re not into diving, that’s okay too! 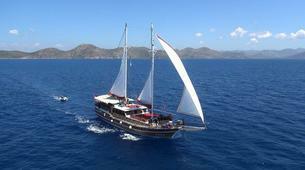 Non-diving passengers are 100% welcome on board to enjoy this unforgettable sailing trip. Please do not bring any drinks or alcohol with you. OKYANUS JD has a small bar for your needs. This trip could be canceled or postponed due to weather conditions. 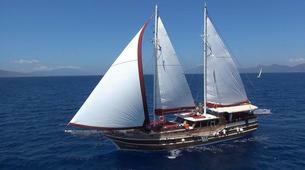 Non-diving companions get € 100 price reduction. Airport transfers are organized upon request. Please contact your guide after booking to discuss further details. 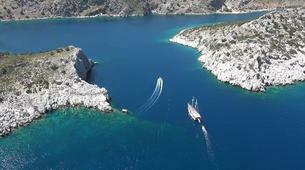 - Dalaman Airport transfer cost: € 60 per person, € 360 for a group up to 12 participants. 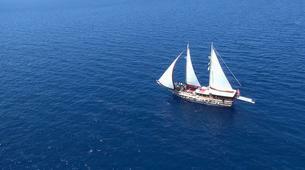 Payment will be paid in cash on board. 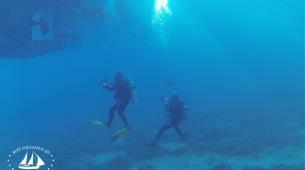 Full diving equipment rental is available. Please inform your guide in advance if you are interested in renting. 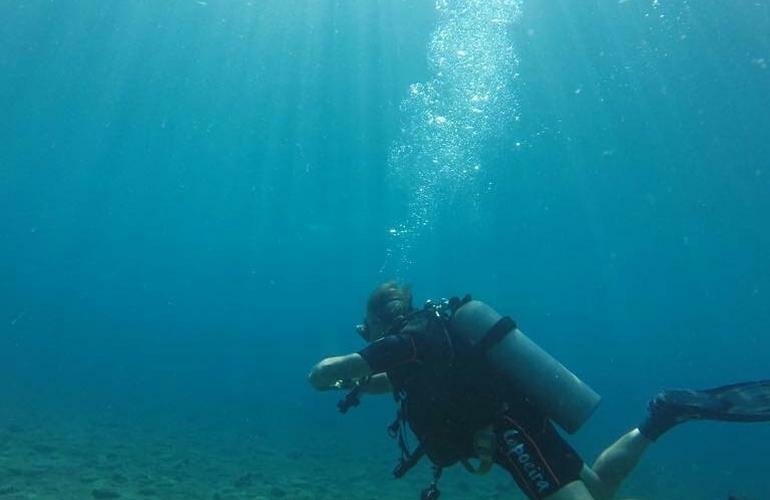 Scuba Training (SSI, CMAS, and PADI) / Beginner and Specialty Courses / Discover Scuba Diving / Night Dives or additional dives can be offered on request (not inclusive). Please contact your guide after booking for more details. 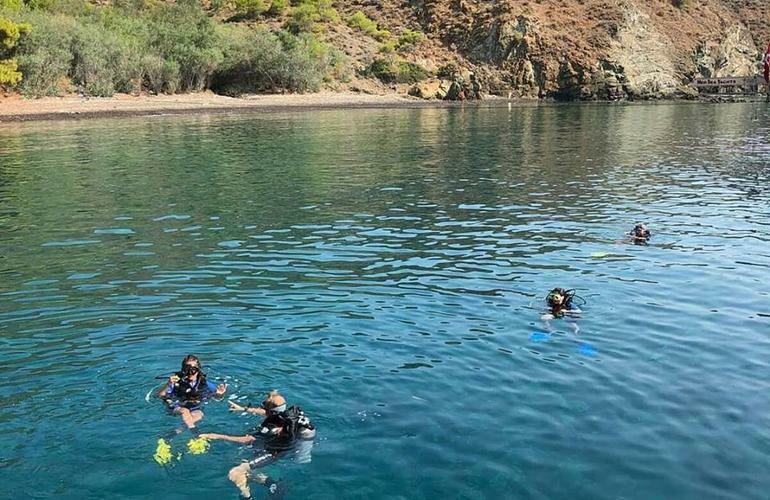 If you are interested in other activities such as Yoga, Pilates, Snorkeling, or Freediving during your cruise, please contact the guide after booking to discuss further details. Please contact your guide after booking to confirm the address of your meeting point.